Saint Paul Public Library is hosting Maker Break the first week of April. Maker Break features free, hands-on activities geared towards kids ages 8 to 11. West 7th Library will be hosting two sessions: 2D Character Animation on Tuesday, April 2 at 3 p.m., and Bubblemancy on Friday, April 5 at 2 p.m. At the 2D Character Animation session attendees will work with an artist to bring their characters to life using paper or free 2D software. During the Bubblemancy program, kids can learn the science of bubbles and have a chance to experiment with them, as well as make bubble art to take home. Other St. Paul library branches will be hosting a variety of Maker Break programs including henna design, hip hop & spoken word, super/s/heroes and mini-catapults. Visit our online calendar at sppl.org for more information. 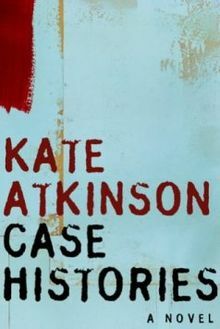 The West 7th Book Club is meeting Thursday, April 25 at 6:30 p.m. to discuss Case Histories by Kate Atkinson, a crime fiction novel set in Cambridge, England that introduces private investigator Jackson Brodie. Brodie is investigating three different cases and finds surprising connections between them. The series continues in three further installments and has been made into a television series of the same name. Call or stop by West 7th Library to reserve a copy of the book. This year’s Minnesota Book Award winners will be announced at a ceremony hosted by the Friends of the Saint Paul Public Library on April 6. Check out their website for lists of finalists and winners at thefriends.org. The MN Book Awards feature a wide variety of categories every year including Children’s Literature, Genre Fiction, Memoir & Creative Nonfiction and Poetry. Saint Paul Public Libraries will be closed Sunday, April 21 for Easter. Previous articleWhy do people still need a food shelf?